Wrong Number Lyrics - Ranjit Bawa | Jarnail Rattoke, Wrong Number is a new Song by Ranjit Bawa, Originally sung by Jarnail Rattoke. Lyrics of the song are penned by Jarnail and Music is done by Sharan Shergill. 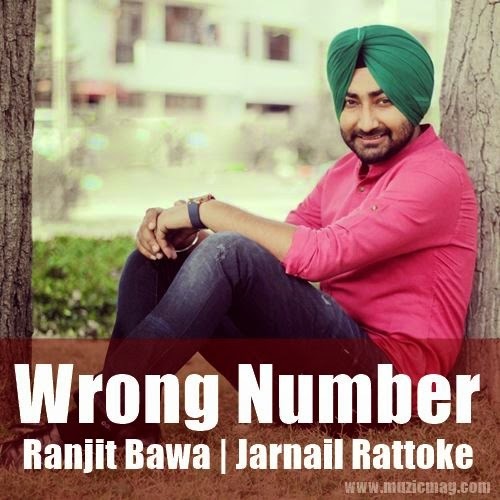 Wrong Number Lyrics - Ranjit Bawa | Jarnail Rattoke: Wrong number is a song written and sung by Jarnail Rattoke in the beats of Sharan Shergill. It was published on youtube back in August, 2012 but now Ranjit Bawa used to sing the song in his live stage shows, which indicates that Song will be re-released in the vocals of Ranjit Bawa Soon. However, It is just the imagination of the audience, we don't have a confirmed news from any reliable source till this post is published.